Join us in a day of mass canvassing in Meta's district! We will be handing out literature and talking with folks who'd like to learn more about the campaign. Nervous about door knocking? Don't worry! We will show you how it's done! 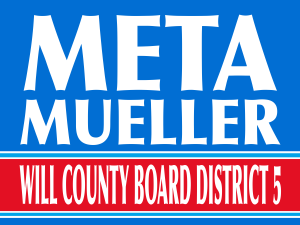 Join us in a day of mass canvassing with the Will County Progressives in Meta's district! We will be handing out literature and talking with folks who'd like to learn more about the campaign. Nervous about door knocking? Don't worry! We will show you how it's done!